Facebook is nearing the end of its toughest year as a public company. Ahead of results on Tuesday, analysts are hoping the news can't get any worse. The social-media giant is expected to report third-quarter revenue of $13.8 billion, up 34 percent from a year earlier. Operating profit will be $5.79 billion, according to analyst estimates compiled by Bloomberg. Those cheery projections belie another quarter of turmoil that included executive departures, a huge privacy breach, threats of regulation and struggles to contain misinformation ahead of key elections in the U.S.
Three months ago, Facebook stunned Wall Street with a second-quarter revenue miss and a warning that growth would slow while spending rises. On Tuesday, investors will be watching user engagement numbers and expenses closely. Top of the wish list: No more nasty surprises. "As long as management doesn't surprise with more negative announcements about long-term revenue and expense trends, we think the stock could have a good 4Q," Macquarie analyst Ben Schachter wrote in a recent note to clients. Facebook has lost more than $200 billion in market value since a record high in July and the shares are trading near the lowest level since May 2017. Investors are concerned that use of its main social network has plateaued, while future sources of growth, such as messaging, will be less profitable. 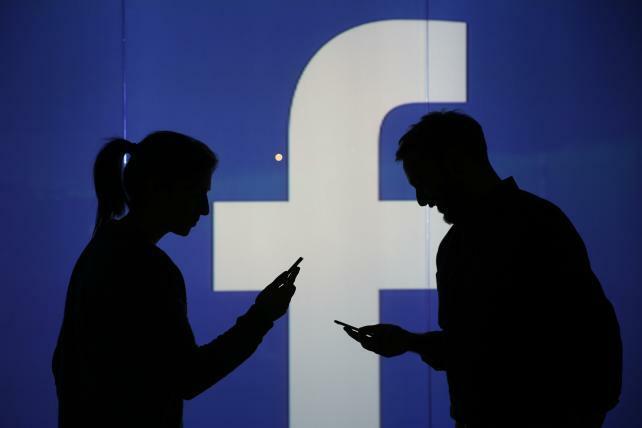 Facebook monthly active users are expected to total 2.28 billion in the third quarter, up from 2.23 billion in the previous three months, according to analyst estimates compiled by Bloomberg. If Facebook can keep users coming back to its social network, the advertising dollars will likely continue to flow, giving the company room to invest in solutions for its problems. A recent survey by RBC Capital Markets found that the percentage of Facebook advertisers who plan to increase their spending on the service had fallen to 49 percent in September from 66 percent a year earlier. On the other hand, Facebook's Instagram is seeing sizable increases in ad budgets, according to the RBC poll. "So long as its revenues grow, the company will have the flexibility to manage its spending," said Wedbush Securities analyst Michael Pachter.